October, I hardly knew you! 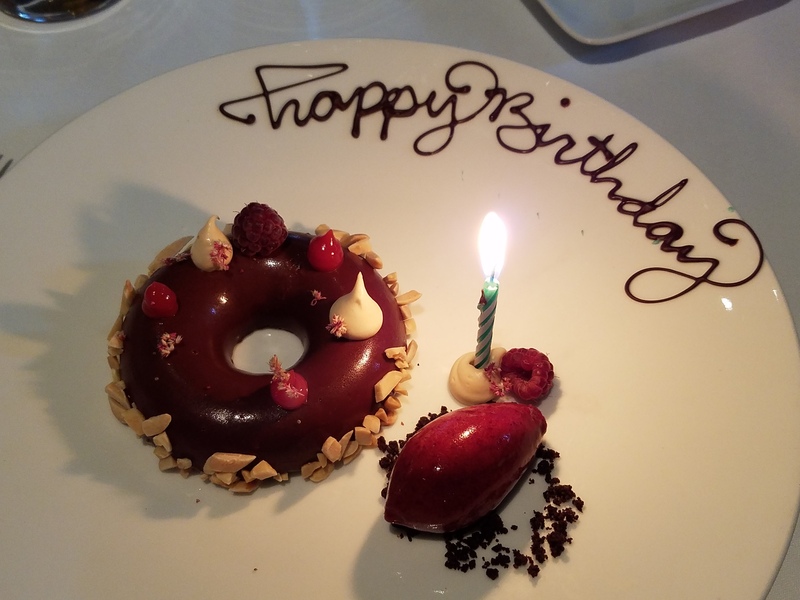 Somewhere in the blur that was October, I did manage to squeeze in a birthday. Since late September, life has passed by in a blur. Several trips for work have taken time away from my non-work life – the horses in particular. Ailments and injuries have further limited equine-based activities. Head buried in work most of the time, I feel as though I looked down on October 1st, and when I looked up, it was already Halloween! 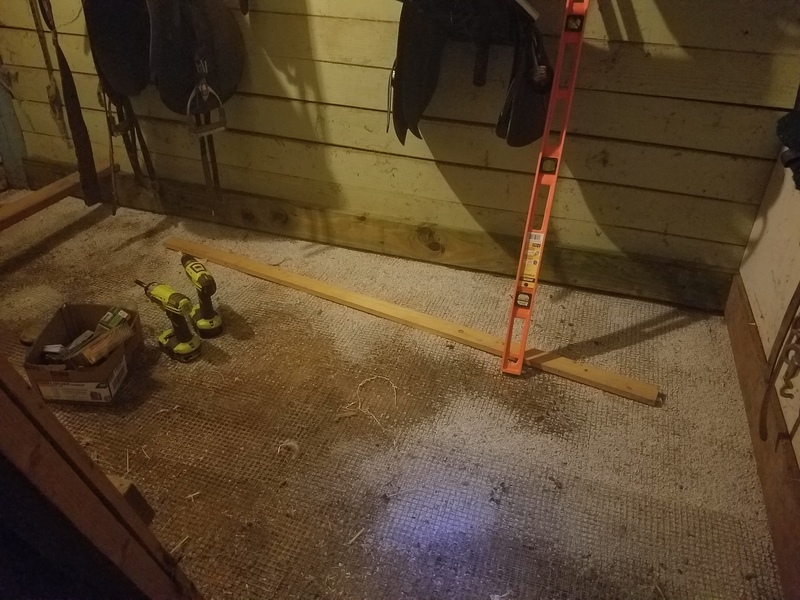 Yet, somehow, somewhere in that blur, I was able to complete one barn related project. The interruption with the horses started in late September, when the herd was hit with an upper respiratory virus. The only horse spared was Nash (apparently age has its benefits). When everyone was healthy again, I did manage to fit in a few rides on Coffee, who is coming along very well. I no sooner got Roxie back to work, post-virus, than she was sidelined with a minor lameness, still unresolved. I suppose, all of that considered, it wasn’t a bad time to be traveling for work (much as I hate doing that at all). In the midst of all of this, I began to consider maintenance that has to be done before winter arrives. 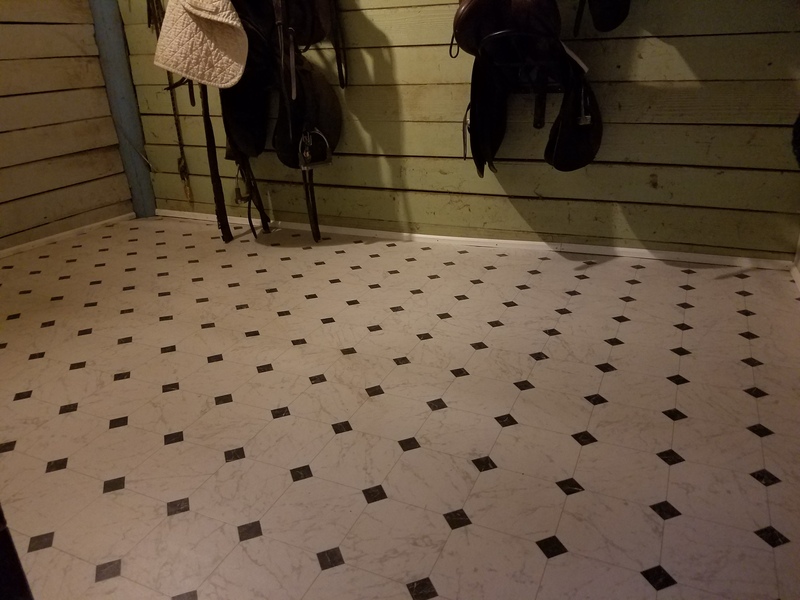 Top of that list was to replace the rotting floor in the tackroom. I had no idea how extensive the project would be, as we could not be sure what the damage actually was. But, the only way to find out was to begin tearing it down. I built the floor nearly ten years ago, and it has served us well. However, this past summer it became clear that a couple of boards had rotted. 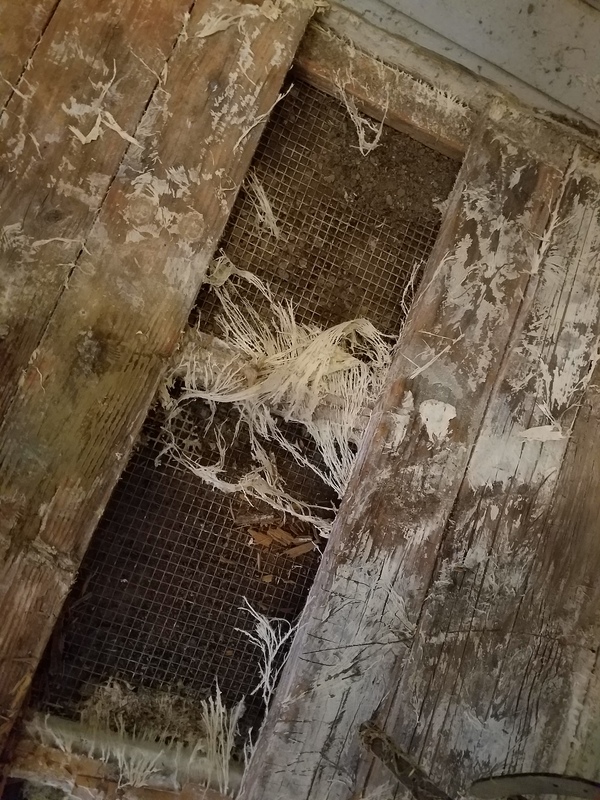 I somewhat dreaded peeling up the linoleum to see what was going on underneath. What follows are photos of the project as it progressed. 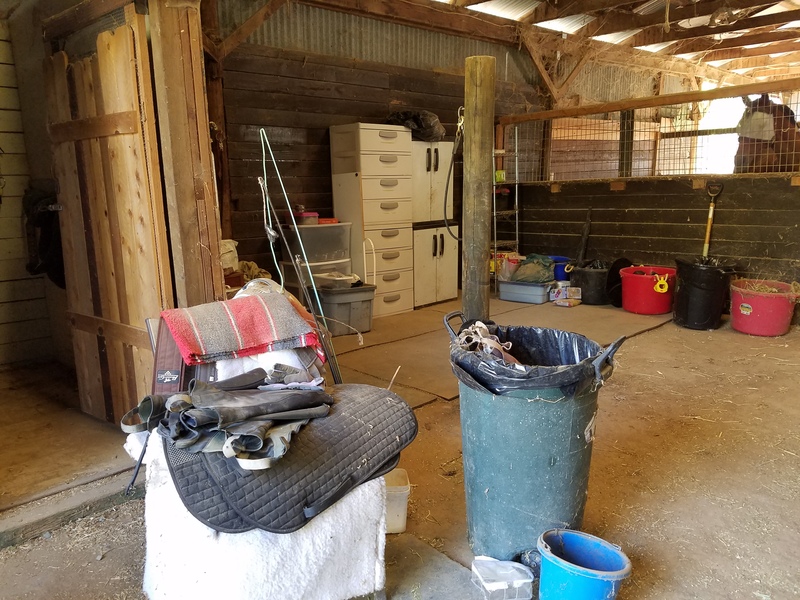 The tack room contents moved to our grooming area. 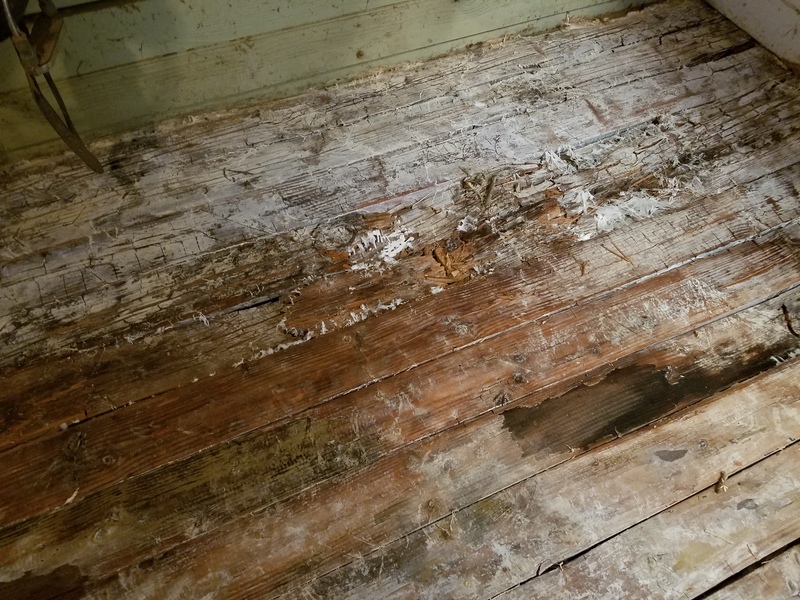 Mold and a few sagging boards weren’t too surprising, when I peeled back the linoleum. The amount of moisture, after a hot dry summer, was the surprising part. Fascinating growths were uncovered as we removed the moist floor boards. All the rot finally cleared, it took a couple of weeks for the ground to fully dry out. 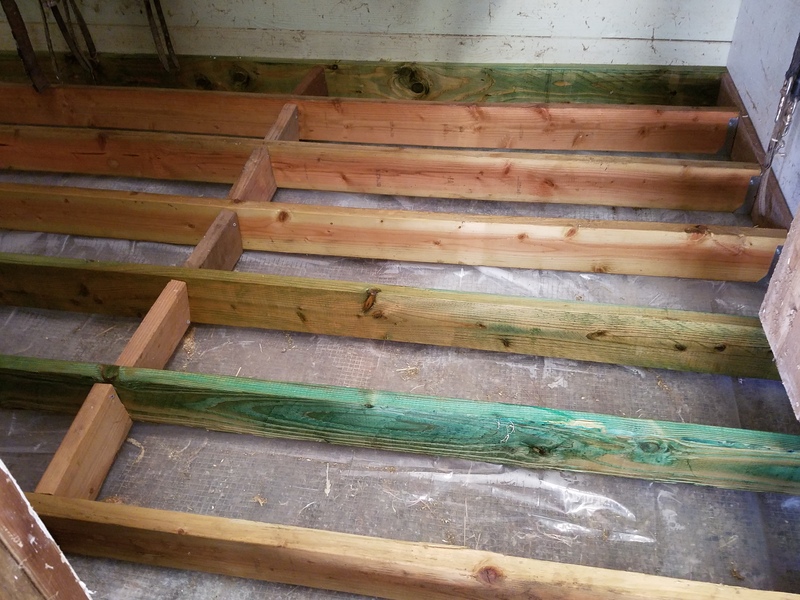 Floor joists and cross-supports in place. This time, lesson learned, I added a moisture barrier below the wood. On the first morning, I could see condensation underneath it, even in hot dry weather. Who knew?! It felt so good to get that first sheet of plywood in place! 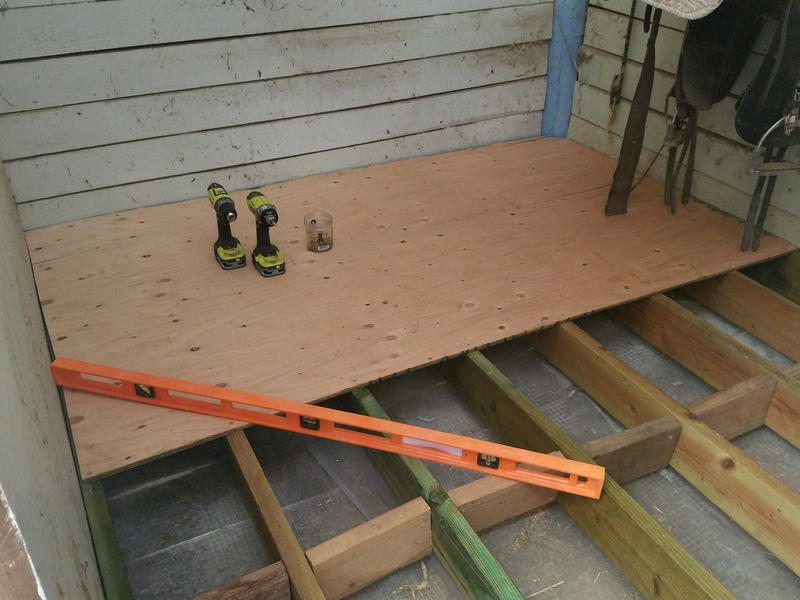 Finally, we can walk across to the saddles without tiptoeing through the joists! This time a layer between the wood and linoleum, hopefully adding protection for the wood from above. Begun the first weekend of October, it took us an entire month to complete. But now I know we will have a good solid floor not only through this coming rainy season, but for years to come! Next comes a new roof! 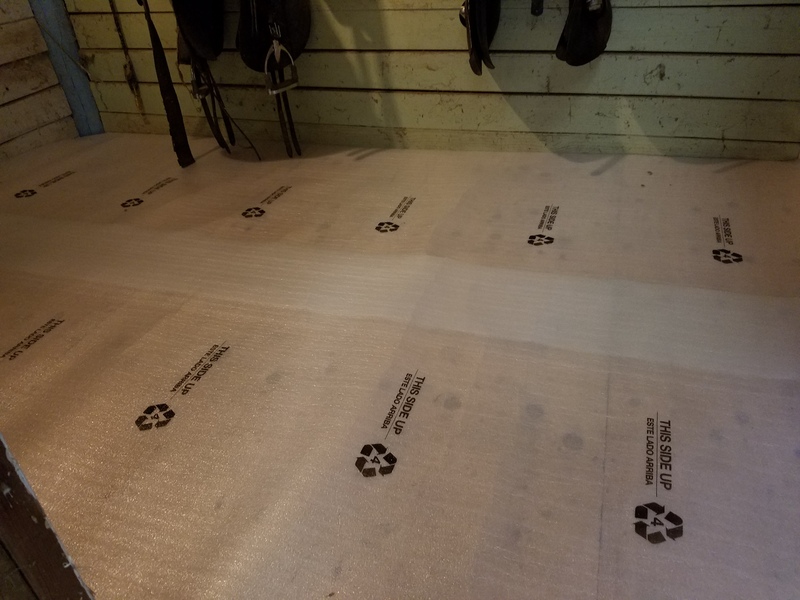 A horsekeeper’s work is never done! 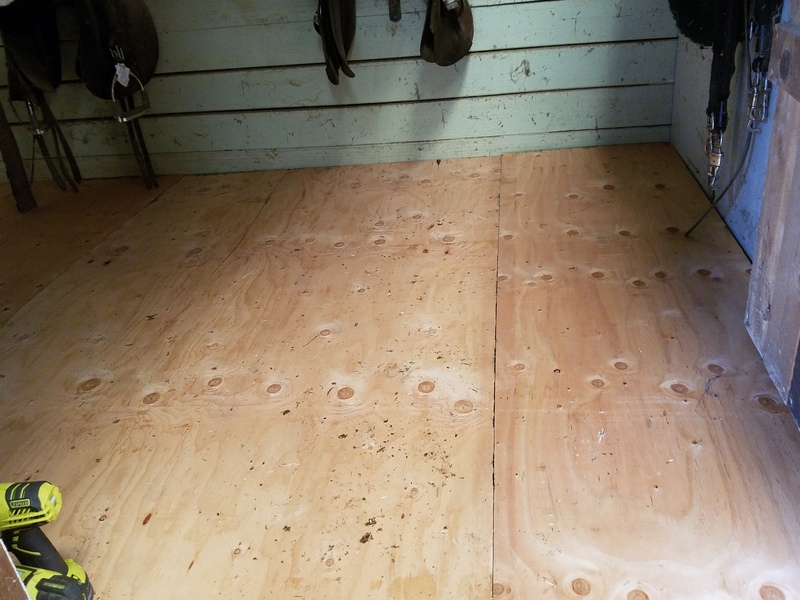 This entry was posted in My Journey and tagged barn project, carpentry, Coffee, fungus, mold, no time, October, Roxie, tack room. Bookmark the permalink.